At last count, consumers received 5.1 billion robocalls in October, an all-time high. And chances are good that a large percentage of them were pitching scams. Scammers love robocall technology because it allows them to target hundreds or even thousands of victims at one time. They only come on the line when a potential victim takes the call and stays on the line. Some of the scams get used over and over again. 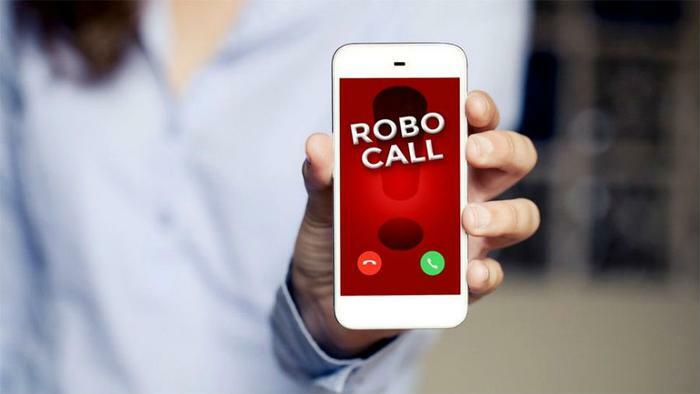 As the year draws to a close, the folks at Nomorobo, a call-blocking tech company, have compiled a list of the top five robocall scams they've encountered in 2018. Most of us have become leery of taking calls from unfamiliar area codes. If you live in Louisiana and don't know anyone in Minnesota, you would likely conclude that a call coming from that state is best to be ignored. Scammers have responded to that by spoofing phone numbers and disguising their real location by using the area code of the number being called. Taking it one step further, these spoofed numbers also adopt the local exchange of the number being called. To a potential victim, the call looks like it's being made locally, so they are more likely to answer it. This scam targets consumers in urban areas where there are likely to be a large number of Chinese immigrants. The recorded message is in Mandarin and informs the recipient they have to pick up a package at the Chinese Consulate office or provide information to the Chinese Consulate to avoid being in trouble. If the victim stays on the line, the scammer then asks for the person's bank or credit card information or tells them to make a bank transfer to them. Nomorobo reports more than 30 consumers in New York City were tricked out of an estimated $3 million by these calls. This may be the most common robocall scam of 2018. These calls promote various health insurance plans and offer help in navigating the health insurance marketplace. Of course, there's a fee for that service. Nomorobo says it headed off more than 850,000 health-related robocalls in October, nearly five times the number of similar calls in September. Probably 90 percent of the consumers who get this particular pitch don't fall for it because they are consumers and not businesses. But this scam can be very effective with the entrepreneurs and individually-owned businesses trying to compete online with the big guys. In this scheme, the recorded message tells people that unless they return the call, their listing on Google Search and Maps will imminently vanish or be labeled as "closed." These robocallers are also tricking businesses into paying for unwanted SEO services. This scam has been around for quite a while; robocall technology just helps scammers reach more potential victims. The message purports to be from the IRS demanding that victims pay a non-existent tax bill. The message may say that the caller is an IRS inspector and even recite fake badge numbers to make everything sound official. Just remember that the IRS communicates to taxpayers through the U.S. Mail, not with robocalls. Transaction Network Services reports the Federal Trade Commission (FTC) got 4.5 million complaints about unwanted calls in 2017 and receives about 400,000 of them every day. The Federal Communications Commission (FCC) has also received a barrage of complaints. In early November, FCC Chairman Ajit Pai ordered the telecom industry to come up with a solution to the growing number of robocalls made to consumers and businesses. In particular, Pai said he wants the industry to address the neighbor scam so that scammers can't “spoof” other phone numbers to disguise where the call is originating. Pai has named stopping illegal robocalls as the agency's top consumer priority and given the industry 12 months to find a solution.